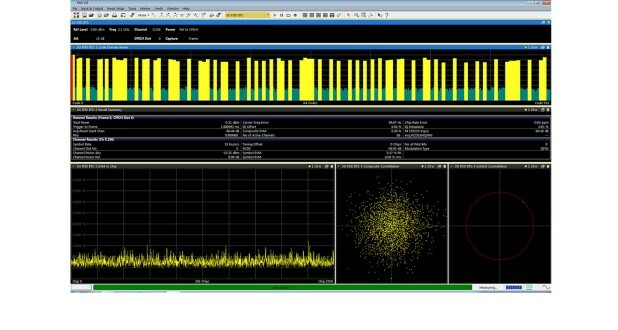 The R&S®VSE-K72 covers the in-band measurements of the 3GPP WCDMA uplinks and downlinks including HSDPA, HSUPA and HSPA+. The main application of the R&S®VSE-K72 option is the determination of the power in the individual code channels, referred to as code domain power measurement. The power ratios between the individual channels, for instance, can be checked for compliance with the nominal values. This measurement is a very efficient tool for detecting impairments such as clipping or intermodulation that are not obvious from the spectrum alone. The power of the different codes is shown versus the code number. 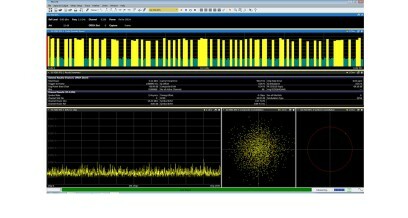 The code domain power measurement offers in-depth analysis for a WCDMA signal with several active channels. The composite EVM measurement returns a modulation error value for the total signal. The symbol EVM function yields the individual vector errors of the active channels.